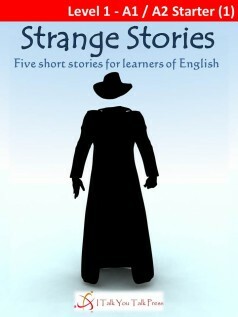 Short Stories for Learners of English. Janet is working alone one night. She hears a noise. What is it? Is someone else in the office? She looks around the office, but no one is there. Then, she receives some strange emails…Someone is watching her. Who is it? What do they want? He drives faster and faster. “Stop! Stop! You are going to kill us!” shout the girls, but the taxi driver does not stop…Can the girls escape before it is too late? Enjoy these stories plus three more of mysterious visitors, danger and romance!